For Christians, persecution is nothing new. Way back when the Apostle Paul was sending letters from prison, he warned his young protege, Timothy, that such suffering was part and parcel of the Christian life. “In fact,” Paul wrote, without any attempt to sugarcoat his message, “everyone who wants to live a godly life in Christ Jesus will be persecuted” (2 Timothy 3:12). Shortly after writing these words, Paul was martyred. Persecution is nothing new, nor (if we believe Paul’s words) should it surprise us. 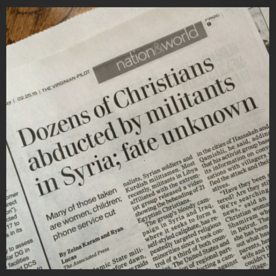 Still, though, we recoil from the horrific videotaped execution of 21 Egyptian Christians, or the news that 150 of our fellow believers – women, children, and elderly people – have been abducted in Syria. We grieve, we get angry, we feel impotent. I cannot do anything for them but pray. That sounds so insignificant, yet it holds so much power. I want to stand side by side with my brothers and sisters in Libya, Syria, and all over the world. I want to stand side by side with them in prayer. They may be out of my reach, but they are not out of God’s, and I know that I can count on his infinite love, his limitless power, and his faithful promise to work “in all things for the good of those who love him” (Romans 8:28). In Paul’s letter to Timothy, he said that evil men would go “from bad to worse, deceiving and being deceived.” Those words might as well have been written yesterday; they were true then and they are true today. And yet neither Timothy nor Paul lost hope. Instead, they stood side by side with their fellow Christians, enduring unimaginable hardship, trusting God, and proclaiming the name of Christ. Side by side. Let’s stand with them, together. I’m sitting here at the computer, watching the grey skies get heavier and wondering when the first flakes will fall. They’re calling for a “big storm” and Virginia Beach is all abuzz. It doesn’t matter whether we get one inch or two, we know the drill: Shut ‘er down. School, work, exercise class…they’ll all be cancelled tomorrow. Boston, we feel your pain. I can’t speak for every wise old head in town, but I know at least two who probably have their faces pressed to the window, right this minute: My mom, Claire, and her husband, John. At first, I thought they’d been shot. But then I noticed the boogie board, and the pieces began to fall into place. 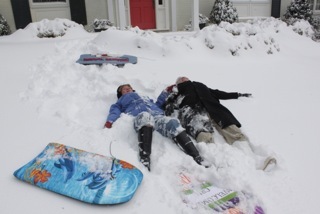 Mom and John had been sledding (boogie boards do double duty at the beach) and, eager to make the most of the white stuff, they’d moved on to snow angels. I have no idea how long they lay there like that, or which neighbor happened along to take the picture. I just know they had fun. How do you grow up like that? I mean, how do you get to be 75 years old and still go sledding on a boogie board? How do you still own a boogie board? Hairdresser bills notwithstanding, I’d still rather be strong than gray. But I think I’ll get working on the other two pearls, keeping my tongue from evil and storing up wisdom in my heart. Clearly, that kind of good livin’ pays off. First, though, I’m going to whip up a batch of slice-and-bakes and light my firelog. The Pioneer Woman might have a famous blog and a cool TV show, but hey. We all do what we can, right? To me, few things are more lovely than freshly fallen snow. Haven’t we all been there? Haven’t we all said or done something we wish we could undo, something that fills our hearts and our minds with shame? Haven’t we all longed for a clean slate? I’ve been mulling over Psalm 51 all week, grateful that we serve a God who can – and will – do that which we cannot: blot out our sin and restore our joy. Imagine my surprise (my delight, actually) when Robbie and I went to the Ash Wednesday service and Psalm 51 was read aloud while our minister “imposed” the ashes (at least I think that’s the right term for what happens when you get them on your forehead). Turns out, Psalm 51 is always part of the Ash Wednesday service, at least in the Anglican tradition. Who knew? 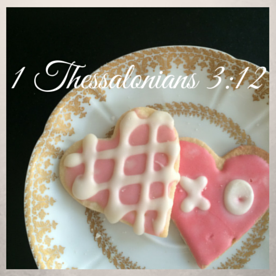 With Valentine’s Day tomorrow, I figured this would be a good time to offer a prayer verse about love. The good news is that the Bible has about a zillion of them to choose from. The bad news is that the Bible has about a zillion of them to choose from. We are called to love God, love our enemies, love each other. We see links between love and obedience, love and blessings, love and fruitful lives. 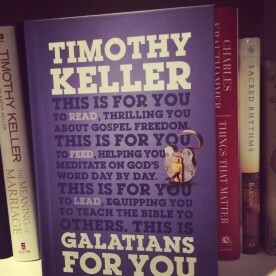 We read about God’s lavish, unfathomable, and unconditional love for us. It’s all pretty incredible. Almost nobody writes letters anymore. But a mom can hope, right? Why? I don’t know. I didn’t really expect to get a letter. But then yesterday, nearly six months after Robbie Sr. and I hid behind our sunglasses (Tears? What tears? 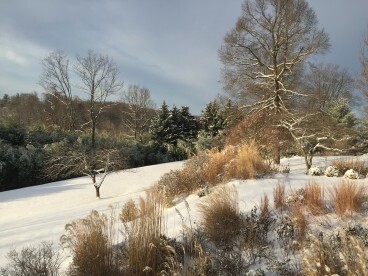 ), trying not to be the very last parents to vacate the Sewanee campus (it’s not a big school so lurking parents tend to stand out and yes, I was pretty much “that mom”), I got one. Robbie has no idea that this is Valentine’s week. For one thing, he’s a college freshman. For another, he’s a guy. (Note to any men who are reading this post: Heads up. SATURDAY.) And I’m certain Robbie didn’t think about writing a love letter. He was probably just rooting around in his desk drawer and saw the envelope under an empty Gatorade bottle and some dirty socks and thought: Why not? 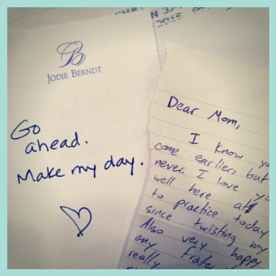 But as I held Robbie’s letter in my hand – treating it like a rare artifact that could crumble if grasped too tightly – it hit me just how powerful a simple letter can be. The fact that nobody writes them anymore makes them even more precious. In an age of texting and emails (and snap chats; I have begged my kids to set theirs so that they don’t expire for 15 seconds since it takes me at least that long to figure out what I am looking at, and if you think I could just take a screen shot then you clearly have no idea where my technological boundaries lie), getting an actual memento that you can hold – that you can clasp to your bosom the way that I imagine Magellan’s mother did when she unsealed the wax and read, “Hey Mom! It’s round!” – is just huge. All of this is simply to say: Write someone a letter. You don’t have to have a valentine to take advantage of the opportunity to share the love. Tell a former teacher or coach how much he or she meant in your life. Boost a neighbor’s spirits with an encouraging note. Tell your mom you love her, or even just that you appreciate how many times she got the grass stains out of your jersey. Go ahead. Make her day. Who wouldn’t want to open an envelope and read that? The Bible is full of awesome little nuggets just like that, notes of hope and grace that you can tuck into your own writing, words that can speak life into the bleakest winter day. The whole thing, in fact, is really just one giant love letter, written from God’s heart to ours. Looking for a little something to read with your morning coffee this week? Check out 1 John…right in the back, near Revelation. It’s not a long letter – just five short chapters – but it packs a whole lotta love. Okay, so it’s February. The Christmas decor is put away (well, most of it; never mind the knot of lights that my Instagram friends see dangling from the dogwood tree outside my window…44 days and counting, BTW), and the promise of Daylight Savings Time is still too far away to be counted on as a spirit-lifter. If you’re like me, you might be feeling a bit weary. Which is where Galatians 6:9 comes in. This is my all-time favorite prayer verse for teachers (those blessed souls who keep at it with our kids, day after day), but it’s also a good one for anyone who might be struggling to restore a relationship, extend forgiveness, get out of debt, or just stick with the goals they set for the new year. 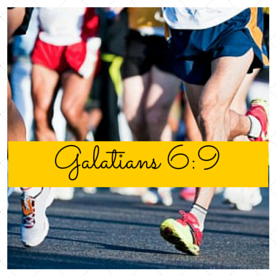 Any good thing that can sap your strength and make you want to quit the race can be targeted with this prayer verse. Why not try it today for yourself, or for someone you love? Some women love it when their man shows up with jewelry, or maybe tickets to a Broadway show. Me, I’m more of a “hair of the dog” kind of gal. As in, literally, the hair of the dog. As in: Get it out of here and I will love you forever. Now, I’m not knocking new baubles or an evening out. (Seriously. I’m not. Sometimes Robbie reads these blogs, and I’d hate for him to get the wrong impression.) But anyone familiar with Gary Chapman’s love languages will know what I am talking about when I say that Acts of Service is a big deal to me. And I am confident that, on Maslow’s lesser-known Hierarchy of Services, “Getting Rid of Dog Hair” ranks right there at the top. But this particular act of service is, at least in our house, a quixotic endeavor. As you know if you saw them in their Christmas finery, we have two dogs: Khaki (a fat, stubborn Lab) and Max (a scrawny, good-natured Golden). Between the two of them, they probably shed about 17 pounds of hair per day. I am not, by nature or nurture, much of a “dog person,” but I don’t think I am being mean or unfair when I say that this habit is not attractive. Because here’s the thing. It doesn’t matter how often I vacuum or how vigorously Robbie furminates (which is, I believe, an actual verb), there is no way we can vanquish the dog hair completely. To the casual observer, the house may look clean (and if I knew you were coming over, I would put the dogs in the laundry room and run a lint brush over the couch that Khaki probably thinks is named “Get off!”), but it would be a temporary illusion. Look closely (or, heaven forbid, actually pet one of the dogs) and you’ll see the harvest. 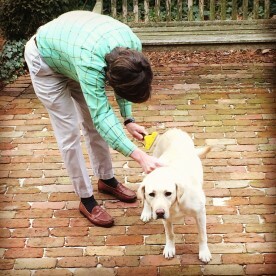 Dog hair – and stay with me, here – is like sin. I mean it. Sometimes you look down and you realize that you are covered in it, and that you have to go back upstairs and change before you go out in public. Sometimes, it’s a little more hidden; only you know what’s lurking on the grill under the refrigerator. And sometimes, it’s just that one tiny little piece and you pluck it off of your black pants and you think you are good…until you spot another one. I’ll be honest. I get depressed about the dog hair. And I would get depressed about my sin, too – except for this one (a-hem) saving grace: God has taken care of it for me. That’s basically the message in Paul’s letter to the Galatians, a group of people who thought they had to earn God’s love and acceptance by following all the Jewish laws and religious customs. “Not so!” Paul says (and I am paraphrasing here). “It’s not about what you do. It’s about what God already did.” God knew we couldn’t do it on our own, so he sent Jesus (and you gotta love the term Paul uses) to “rescue” us. I don’t know if Keller is a dog person or not (he probably is, because he seems well-adjusted), but I am sure he would agree with me on this: If we spend our lives trying to live up to some sort of “moral cleanliness” – if we vacuum and furminate until we think our house is “pretty clean” (or at least “cleaner” than so-and-so’s) – we’re doomed to a life marked by guilt, insecurity, and exhaustion. We won’t be able to do it. If, on the other hand, we turn the dog hair of our sin over to God, trusting in him as the Ultimate Furminator, we are golden. We can grab hold of the rope and relax in the security of God’s unmerited favor and love, knowing that nothing we do (or don’t do) will ever change the fact that he is absolutely crazy about us. God is crazy about us. On Saturday, January 31st, my beloved (and, until then, undefeated) U.Va. Wahoos fell to Coach K and his perennially strong group of Blue Devils. I’m sure our guys took the loss hard – we all did – but the boys regrouped, and just two nights later they stomped on the Tarheels in Chapel Hill. It was U.Va.’s first win over a ranked Carolina team in that venue in 24 years. I’m not an athlete, but I can’t help but believe that Bennett’s slow-paced, humble approach doesn’t always go down easily for all of the guys, once they get a locker in Charlottesville. 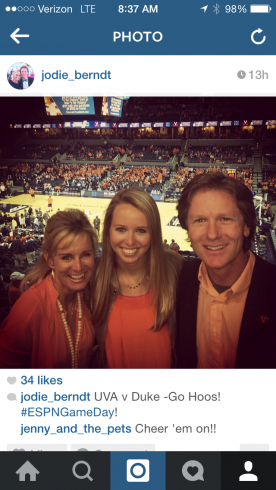 All-American or not, the fact that they earned a spot on an ACC squad means that every kid on the U.Va. team was a total stud in his high school; you gotta believe they all had some pretty heady press coverage in between getting their driver’s licenses and finding a prom date. And you know that all of them come equipped with some spectacular moves. Granted, we’ve seen plenty of mile-high dunks and seemingly impossible three-pointers, but generally speaking, when you watch U.Va. play you sometimes get the idea that you’re watching a bunch of thoroughbreds who are, by sheer force of will, reining it in in deference to the wisdom of their coach. Which reminds me, actually, of Proverbs 3:5-6. Trust in the Lord with all your heart and lean not on your own understanding; in all your ways acknowledge him, and he will make your path straight. Now, I am not trying to compare Tony Bennett to God (although the man does love Jesus, and the family resemblance shows). 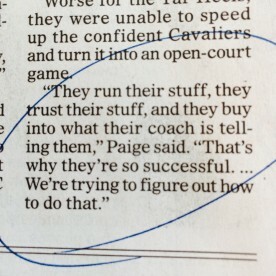 What I am trying to get across (in what may be my first and only sports column) is that when we make a decision to trust God instead of our own instincts – or, to borrow a phrase from UNC’s Marcus Paige in his post-game interview, to “buy into what our coach is telling us” – good things happen. We get wisdom beyond what we’d naturally have. The crooked places in our lives become straight. There may be hurdles along the way (the “Duke Games” of our lives, if you will), but in the end, we will set ourselves up for victory. From where I sit, it would appear that all of the U.Va. ballplayers trust Coach Bennett. More encouraging, even, is that a big chunk of them trust their Heavenly Coach as well. It’s a mighty fine program, one for which fans are grateful. And, on behalf of those of us who daily make (sometimes difficult) decisions to try to do things God’s way instead of our own, can I just say to all the U.Va. guys (and Mike and Evan, I am going to make you read this): Thanks for the life lesson. It helps.